The BEST app I have ever encountered for golf. It has everything you'll need. They did a great job with this app. The free app was wonderful, this version it is even better. A must have it. AWESOMENESS !!!! Very informative!!! Great clarity!!! Very well done!!! This is so wonderful. I recommend this to every body who wants to improve. This is all you need for visualizing the rhythm and tempo of the golf swing Love This!! This is without a doubt the best golf visualization tool ever. Can't stop watching this. Greatest thing since sliced bread-improved my game to no end. A must buy for novice and experienced golfers. Awesome for anybody that wants to be a better golfer. Love it for any down time I have. Very cool tool to have at hand! Love it. Can't wait to show it to my friends, they'll appreciate how much they can learn in the moment! Easy to refer to while I'm on the course! I'm gifting this app to all my golf buddies. Clever idea! When you’re on the range and you want a reference point to check your swing you have all the help you’ll need. This app is better than a golf lesson. I’ve been working on several of the tips and they really work. Great app very very helpful, worth every cent! Great app, improved my golf game. Worthy of passing onto my friends. Without question THE BEST app around for overall improvement in your swing. Want to know how the pros do it? This app shows you how! ..it ain't got that swing. And this app will help you get it. Can't wait to go out and try what I've been watching. Thanks for the inspiration! As a PGA Professional at The Brooklyn Golf Center, I always strive to continue my education so I can assist my students in achieving their goals. With the assistance of this application, my students and I can visually observe the positions that the Pros achieve and apply to our sessions. What fun and what a help to watch the way it's supposed to look. Whether your a beginner or advanced this is a great app to have. Nothing beats watching the best swings in pro golf to help improve your own swing. This app is exactly what I've needed to break me out of that 3 year slump that keeps coming around in my game. Watched a few of my favorite players, went right on the course, and I can't believe the improvement in my drives. Back on track with a minimum of fuss, and the best thing is that it's always with me. No wonder the pros are behind this concept- it really works! Hope they put up more videos soon. Helps keep your golf centered and consistent. Will use it always. When my husband left me I took up golf. As a new golfer these videos are invaluable. Not only do I try to copy their swings but I can pretend I'm playing with some of the greatest golfers in the world. Can't believe I found this. So simple, watch the pro and learn what you need to know. It is just so cool to watch these pros, get the tips and explanations of what they're doing and then allows you do it. This app is the best thing for golfers that I've seen. I'm hooked! WOW! WOW! WOW! CAN'T WAIT TO GET ON THE RANGE AND TRY THESE TIPS BY THE PRO'S.... IT'S LIKE MINI PERSONAL GOLF LESSONS BY SOME OF THE BEST GUYS ON TOUR. WHAT A TREAT TO SEE PRO'S LIKE CAMILO GIVING YOU HIS TIPS AND COREY AS ONE OF THE LITTLE GUYS ON TOUR HE SPEAKS TO THE AVERAGE PLAYER I REALLY LIKED THAT, IT 'S THE KIND OF STUFF THAT "I" NEED . NOT FOR THE GUYS THAT DRIVE THE BALL 300 YARDS. I CAN'T WAIT TILL THEY ADD SOME OF THE OTHER GREATS DOWN THE ROAD. I ALWAYS LIKED THE INSTRUCTION IN THE BACK OF THE GOLF MAGAZINES. BUT SEEING THE PLAYERS, TALKING TO ME AS THEY GIVE THE TIPS IS GREAT .....PERSONAL INSTRUCTION FROM THE BEST OF THE BEST! FORE!!!!!!!!! This is an awesome concise way to watch all my favorite pros. An all in one experience, so user friendly! Was reviewing other gold lesson apps. Glad I found golflix! I go to pro tournaments, not to watch them play nearly as much as to watch them REPETITIVELY SWING on the range while going from their wedges up to their driver & back. Nothing beats watching a tour player's swing for the 1/2 hour+ it takes them to go through their warm up routine. 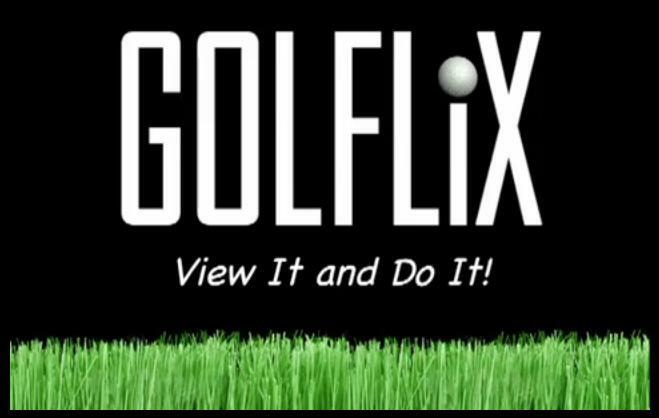 Golflix, goes inside the ropes up close and gets the world's best to give you a 1 on 1 lesson with the pros' own words explanation as to their SWING KEYS, before, during & after you repetitively watch their swing from different angles, in different speeds. There's nothing like it or better out there if you're a student of the golf swing. Thank you Golflix! Finally a golf app that uses visualization to help one improve their swing!! Watch it and imitate! This is how it is supposed to work! Congratulations on making a truly brilliant app! Wow! these vids are like little golf lesson gems but it's not so much the words it's the action. When you watch a great golf swing over and over you start to put yourself in their body and sort of feel what they feel. Pretty much boils down to the simplest most basic way we learn to DO .... By watching and imitating - it somehow works ... .. Always did! Simple way to watch perfect swings that you can copy to make your game better. Works as advertised. The best app I have ever used to improve my golf swing. I recommend it to anyone that is interested in playing a better game. Wow it's so on the money. Feel the body rhythm of the pro then make believe you're him it works!! As a novice, this is a great and simple learning tool. Five stars..
Pros in my pocket. Anywhere, anytime!! Great app but how do I get the full version? I went to the website but no luck. Love this!!! So great to have the replays so I can take in every aspect of the swing. Definitely going to be using this app over and over! Love this simple app. Easy to use on driving range or course. Really helpful. Glad I came across golflix. This is unbelievable....its never been better. To see all these pros talk about their swing and then DO it is the best way to learn anything. I'd be very surprised if my game isn't vastly improved after watching, and the slow- motion is an extra bonus. Thanks, golflix. By far and away one of the most basic yet helpful golf apps available today! What an amazing idea! So helpful! You can review it right on the course!!! Sure to improve any game! Thanks Golflix! Finally a an app with the instructional video's I've been waiting for! Having these masters at my fingertips will surely improve my game - thank you! by jgaldog - Version 1.0 - Mar 21, 2012 Been going to pro tournaments for decades. Always finding a spot on the range, spending hours watching the pros go through their bag, while absorbing their swing rhythm, tempo, plane, club head path, stance, ball/hand position, etc. Golflix allows me to do exactly that, but they've gone inside the ropes, capturing tour pros' swings up close, from all angles with vary-speed, as well as the pros' commentary on their swings, and I can watch it over & over! Truly an invaluable tool! thank you Thank You, THANK YOU GOLFLIX!! !